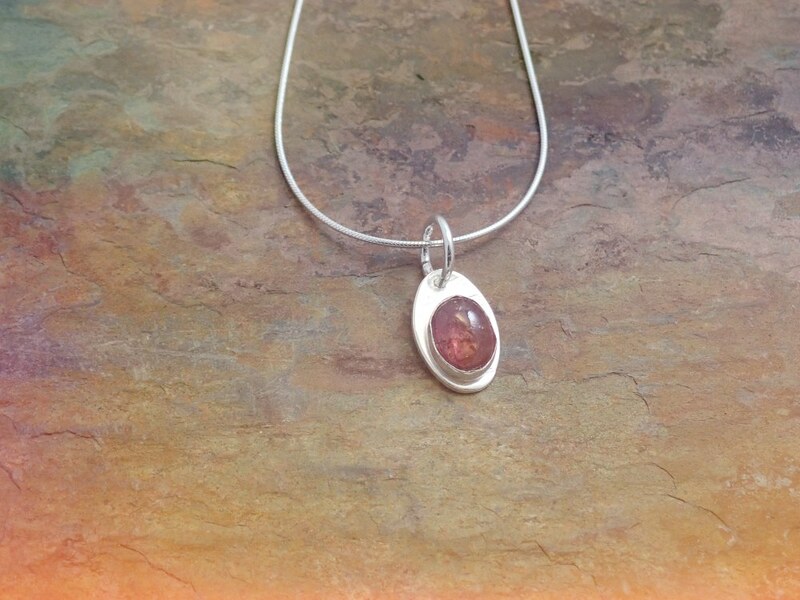 Silver oval solid pendant with tourmaline. Sterling silver oval hammered effect pendant set with a pink tourmaline cabochon. the pendant measures 1.5cm by 1cm and comes with a sterling silver 18" chain.